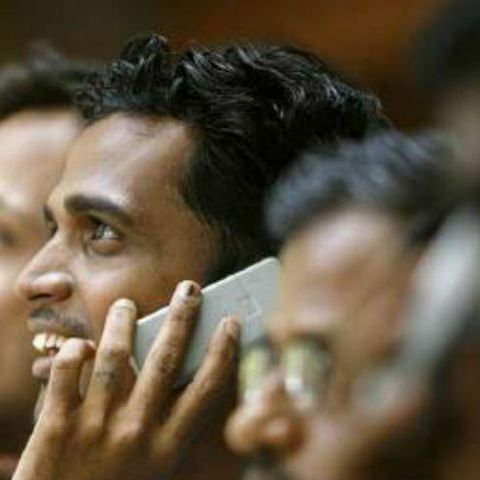 Telecom Regulatory Authority of India has released a report stating that the total number of telecom subscribers in india crossed the 1.01 billion mark in August. Wireless subscribers in the country grew to 988.6 million in August from 983.2 million in July. However, about 885.9 million customer were found active out of the total wireless subscriber base. The landline subscriber base in the country continued to decline despite public sector companies like BSNL and MTNL offering free calling schemes. Bharti Airtel led the way in growth of mobile users with a net subscriber addition of 1.312 million in August. It was followed by Idea Cellular with 1.167 million users and Vodafone with 1.127 million users. Tata Teleservices and BSNL saw a net subscriber addition of 825,00 and 812,000 respectively. Two companies that are in the process of consolidation, Sistema Shyam and Reliance Communication, lost 182,000 and 491,000 subscribers respectively. Most of the losses for Reliance Communications came from Bihar, where it will lose the right use the 900MHz (2G) spectrum this December as it will expire. Bharti Airtel wasn’t just the biggest gainer in the mobile segment, it also gained users in the landline segment. BSNL lost the most number of landline subscribers in August. There was also an increase in the number of broadband subscribers in the country. The total number increased to 117.3 million at the end of August as compared to 113.3 million July leading to a monthly growth rate of 3.55 per cent. Also in the month of August, 4.3 million subscribers submitted requests for mobile number portability service taking the total number of requests to 172.2 million. In June this year, Swedish technology and service provider Ericsson published a report that said that the total number of mobile subscribers in the country would rise to 1.4 billion by 2020. Judging by current growth rate, it is quite possible that we will hit that mark by 2020. Durable smart phone in India! What are blackberry options in India?